Today's short is from the wonderful TEDEd series "Mysteries of Vernacular" created by Jessica Oreck and Rachael Teel. It explores the word "gorgeous". The entire lesson is featured here. Some other words explored in the series are "window", "venom", "dynamite", "tuxedo", "hearse", and "pants". All are engaging and many are surprising in what they tell us about word origins and use. ✦ The wax and polyester resin sculptures of Rebecca Stevenson are as beautiful as they are grotesque, simultaneously repelling and drawing the viewer closer. ✦ A private foundation, The Art of Stewardship aims to bring together artists and educational organizations to improve our awareness of Earth's fragile ecosystems. Established by contemporary painter Greg Mort, The Art of Stewardship helps arts communities organize and facilitate forums and exhibitions that promote the important work of environmental stewardship. It also recognizes individual artists, environmental organizations, and educational institutions that support the foundation's mission. ✦ Shay Aaron has a special talent for art in miniature. His Flickr stream showcases his tiny delectables, including chocolate pralines, chocolate-dipped butter cookies, and Black Forest cake. You'll want to sample his watermelon and grilled eggplant boats and ask for seconds on apple pie, if you don't fill up first on his artisanal breads. ✦ The New York Public Library and Bodleian Library at Oxford University have collaborated on the online exhibition "Shelley's Ghost: The Afterlife of a Poet" that includes rarely shown manuscripts (including selections from Frankenstein), paintings, and relics, and also highlights stories about the literary family. ✦ The online Art Is About features interviews with contemporary artists, gallery owners, curators, collectors, and educators, in addition to offering an arts directory, articles, exhibition information, and news of cultural events in South Florida. ✦ Need a pick-me-up? The wonderful multimedia artist Elsa Mora, subject of a feature article in the October/November issue of American Craft, is the inspiration behind Art Is A Way, a beautifully curated site (Mora's blog is there, too). Mora's work can be seen at Couturier Gallery (see images) in Los Angeles, where she's in a group show continuing through January 4. ✦ Bergstrom-Mahler Museum, Neenah, Wisconsin, is renamed Bergstrom-Mahler Museum of Glass. ✦ British artist, illustrator, and political cartoonist Ralph Steadman is the subject of For No Good Reason, a documentary by Charlie Paul that was screened at Toronto International Film Festival (film page) in September. In this video clip, Steadman talks about his art and creative process. London's Cartoon Museum gave Steadman a retrospective exhibition earlier this year. ✭ There's not much time left left to see "Multiple Occupancy: Eleanor Antin's 'Selves'" at the Miriam and Ira D. Wallach Art Gallery at Columbia University. Concluding December 7 before traveling to the Institute of Contemporary Art/Boston in March, the exhibition includes videos, photographs, drawings, and installations related to the personae ("selves") Antin created between 1972 and 1991— deposed king, exiled film director, ballerinas, nurses — to explore ideas about history, identity, and feminism. A 128-page catalogue is available. ✭ Crocker Art Museum, Sacramento, California, is presenting "The Shape of Things: Warren MacKenzie Ceramics". The exhibition, continuing through February 23, 2014, showcases objects from the Susanna and George Grossman Collection that have been donated to the museum. MacKenzie's traditional wheel-thrown stoneware is not to be missed. Earlier this year the Museum of Craft and Folk Art honored MacKenzie in its exhibition "Warren MacKenzie" Legacy of an American Potter". ✭ The Abstract Expressionist works of Amy Sillman remain on view through January 5, 2014, at the Institute of Contemporary Art/Boston. The traveling exhibition, "Amy Sillman: one lump or two", is the first museum survey of the artist's paintings, drawings, 'zines, and recent creative inspirations involving animated film. More than 90 works from the last 25 years are presented. An illustrated catalogue (see image at right) accompanies the show, which moves to Colorado's Aspen Art Museum in February and the Center for Curatorial Studies/Hessel Museum of Art, Bard College, New York, in June. 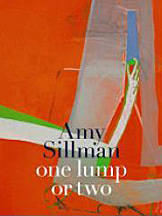 On Wednesday, December 4, New York Public Library hosts "One Lump or Two - Amy Sillman, Helen Molesworth - An Artist Dialogue" from 6:00 p.m. to 8:00 p.m. The event is free. "Blues for Smoke", a group show at Wexner Center for the Arts, Columbus, Ohio, includes a painting and an animation by Sillman. That show is up through December 29. The video below, "Pinky's Rule" (2011), pairs Sillman's drawings with text by poet Charles Bernstein. It was made on an iPhone. ✭ "You and I, Horizontal (II)", the first solo museum presentation in the Midwest by Anthony McCall, a "solid light" installation artist, continues through December 29 at the Contemporary Art Museum St. Louis. As described in exhibition notes, McCall's digital animation "presents a slowly shifting beam of 'solid light' whose physical properties become outlined within the haze-filled space of the gallery." ✭ Interpretations of time — in paintings, photography, video, sculpture, performance, and objects of design — are the subject of "Time" at Bass Museum of Art, Miami Beach, Florida. Among the artists represented are Hernan Bas, Manny Prieres, and Lorraine O'Grady (project Website). The exhibition continues through February 23, 2014. Imagine creating a structure that is 39.370-feet long (12 meters) and made of 8,000 sheets of rice paper (specifically, Xuan paper, which has historic and cultural significance), 800 bamboo shafts, and cotton. Chinese artist Zhu Jinshi (b. 1954) did, and his Rice Paper Boat (2013), exhibited earlier this year at the inaugural Art13 London, an international art fair, is a wonder. Learn more about the conceptual art installation, which took three days to complete, here, here, here, and here. Zhu Jinshi, who is represented by Pearl Lam Galleries (Shanghai and Hong Kong), is an abstract painter who showed in "The Stars Group" exhibition of 1979, the first show of avant-garde art in Beijing after the Cultural Revolution. Since then, he has exhibited in numerous solo and group shows in China and in Germany, Turkey, Korea, Czech Republic, the Netherlands, Austria, and Spain, among other countries. His first solo presentation in the United States was in 2012 at Blum and Poe in Los Angeles. His work is in the Rubell Family Collection (Miami) and the collection of the Long Island Watermill Foundation (New York); select museums in Korea; the White Rabbit Collection, in Australia; and the collections of Duetsche Bank in Germany and Zurich Bank in Switzerland. The artist is known for his use of dramatic and sensuous color, expansive brush stroke, and densely layered, thickly applied oils, which give his large and weighty paintings a sculptural feel. When asked* to describe his painting technique, Zhu Jinshi said he calls it "thick painting." 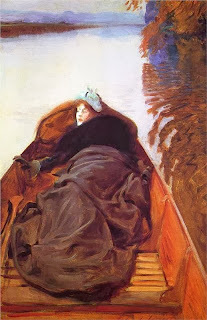 He added, "In front of the canvas, first there is the material, then the paint. . . What I pay attention to is the material. Painting is first an object, then a canvas. But the "thickness" is not absolute — "emptiness" in the painting is also a "thickness"." my brokered words of love. This poem made its first appearance, in March 2013, at John D. Blase's the beautiful due. It also has been published at VerseWrights. I grew up reading and have always been a little nutty about words. A quick look at Hansen's poems' titles, many no more than a word or two or three, affirms the subjects of her writing. 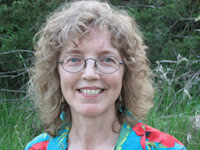 Nature and wildlife, especially birds (Hansen is an ornithologist and an agroecologist; she grew up on a farm), figure prominently in the poet's primarily free verse, as do friendship, loss, the past, and the twin themes of land and place, family and work. Hansen pulls her language from her attentive observations of her rural surroundings and daily events in the two worlds — natural and human — of which she's part and to which she appears always connected. Kloeffkorn wrote of Hansen as being "[a] poet of the prairie [who] is equally a poet of the human spirit". Feeling is not betrayed by the simplicity of her words. Hansen has an ear for language, the flow-through of a line, and the preciseness of an image that lets you hear and see and wonder at what she herself has taken time to experience. Poems by Hansen have appeared in Ascent, The Briar Cliff Review, The Cape Rock, Crab Orchard Review, Kalliope, The Laurel Review, MacGuffin, Midwest Quarterly, Natural Bridge, Nebraska Bird Review, Nebraska Life, Nebraska Review, North Dakota Quarterly, Palo Alto Review, Plains Song Review, Platte Valley Review, Prairie Schooner, Slant: A Journal of Poetry, South Dakota Review, Talking River Review, Verse Daily, Whetstone, and The Writer's Almanac, among other literary magazines and periodicals. A Pushcart Prize nominee in 2001 and 2003, Hansen is the recipient of a number of awards, including two Nebraska Book Awards for Poetry, for Potato Soup (2004) and Dirt Songs (2012); and a High Plains Book Award (2012), for Dirt Songs. She was a finalist for a 2012 Willa (Women Writing the West) Literary Award, also for Dirt Songs. Hansen is a member of Humanities Nebraska's Speakers Bureau, for which she presents "All Across the Plains: Creative Writing" and "Playing Around with Words: Reading, Writing, and the Creative Process" (program descriptions). close if just out of the picture. This poem responds to today's prompt at Tess Kincaid's Magpie Tales. Go here to read other contributions to the prompt or to drop the link to your own poem or flash fiction. that guide us to our discoveries. Quoted from Emmet Gowin Interview with John Paul Caponigro (The conversation first appeared in Camera Arts, December 1998/January 1999). Today Saturday Short brings you Genesi by Abstract Birds (the visual music and sound artists Pedro Mari and Natan Sinigaglia). The visuals and music are in realtime, generated from the input of a wind instrument and a piano. as our sea stars are dying. like in that last wave he gave us. ✦ New to me is SuperMassiveBlackHole, an online contemporary photography magazine that my friend Hannah Stephenson ("The Storialist") spotlighted a while back. It's in your interest to take a look. 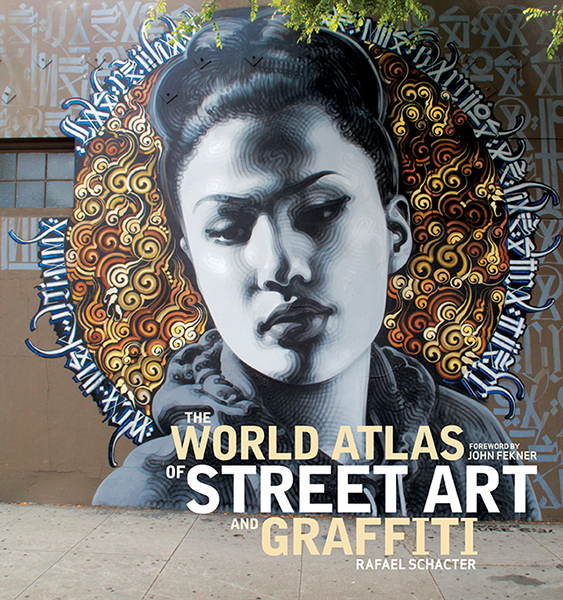 ✦ If your interests run to street art, or what is otherwise known as "independent public art", you'll want to take notice of Rafael Schacter's The World Atlas of Street Art and Graffiti (Yale University Press, 2013). 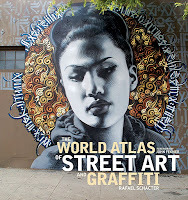 The book, organized by country and city, highlights more than 100 street artists, among them Shepard Fairey (Los Angeles), Os Gemeos (Brazil), Espo (New York City), and Anthony Lister (Australia). Profiles and key examples of work are included. Street and multimedia artist John Fekner provides the Foreword. Preview the contents. ✦ ArtAsiaPacific offers an excellent interview with New York City-based Shahzia Sikander. Read "Intertwined Identities" in which the artist talks at length with Asian art scholar Vishankha Desai about perceptions and reception of her work in the West and in Pakistan, where she was born; her sense of herself as an artist; and the position she occupies globally. ✦ Today art and poetry come together in Dobby Gibson's "The Painter", a videopoem by filmmaker Mark Rubbo for the wonderful MotionPoems. ✭ The first woman to produce a book on the art of wood engraving (Wood-Engraving and Woodcuts, 1932), Clare Leighton (1898-1989) is the subject of "From Pencil to Proof to Press" at the Virginia Museum of Fine Arts, in Richmond, and the Joel and Lila Harnett Print Study Center at the University of Richmond, site of a related exhibition. The VMFA and Harnett exhibitions, continuing through April 6, 2014, together showcase more than 100 works, including drawings and watercolors, prints, posters, porcelains, bookplates, and books by the English-American artist, who made wood engravings for novels by Emily Bronte (Wuthering Heights) and Thomas Hardy (The Return of the Native). Objects included in the show are from the Evelyn Lloyd Phaup Collection (lent by the Hudson Family). ✭ In Washington, D.C., the National Museum of Women in the Arts is showing through January 5, 2014, "Wanderer: Travel Prints by Ellen Day Hale". Hale (1855-1940) was a portrait painter and printmaker whose great-aunt was Harriet Beecher Stowe. The exhibition features some 25 etchings, in addition to transfer drawings, painted studies, and original printing plates from the museum's collection. ✭ New York University's Grey Art Gallery is exhibiting 25 selections from the Abby Weed Grey Collection in "Modern Iranian Art" (works from the collection also are featured in Asia Society's "Iran Modern", a survey highlighted in an earlier All Art Friday). On view through December 7, the show includes paintings, sculpture, drawings, and jewelry made in the 1960s and 1970s. An e-book is available as a free pdf download and in a print-on-demand version. ✭ "The Itinerant Languages of Photography" is on view through January 19, 2014, at Princeton University Art Museum. Drawn from museum and private collections in Spain, Argentina, Brazil, Mexico, and the United States, the exhibit of approximately 85 works aims to "examine the movement of photographs, as disembodied images and as physical artifacts, across time and space as well as across the boundaries of media and genres, including visual art, literature, and cinema." Among the artists represented are Lola Alvarez Bravo, Henri Cartier-Bresson, Joan Colom, Marc Ferrez, Graciela Iturbide, Susan Meiselas, Pablo Ortiz Monasterio, Joan Fontcuberta, and Rosangela Renno. An illustrated catalogue is available. ✭ The chronologically and thematically organized "Mexico Inside Out: Themes in Art Since 1990", at the Modern Art Museum of Fort Worth, in Texas, showcases five dozen works by 23 contemporary artists, including Francis Alys, Gabriel Orozco, and Melanie Smith. On view through January 5, 2014, the exhibition of paintings, sculpture, video, photography, collages, and drawings examines the connections among geographic locales, social politics, and community as represented in the art of central Mexico and Mexico City. ✭ For James Turrell, 2013 has been quite a year and, for the rest of us, what The New York Times called "the summer of light". That light has yet to be extinguished. If you missed the artist's major shows at the Guggenheim, Museum of Fine Arts Houston, and Los Angeles County Museum of Art, you might look to the Midwest, for "James Turrell: Gard Blue" at Spencer Museum of Art, University of Kansas at Lawrence. In a room constructed especially for the exhibition, Turrell's early (1968) light projection, which will be surrounded by his holograms, will be on view through May 18, 2014. The wonderful Manuscript, Archives, and Rare Book Library at Emory University has created "The Artists' Books Showcase", a digital exhibition spotlighting some of the limited-edition and one-of-a-kind artists' books in MARBL's collection. ✦ All Books ~ The treasury of books selected for the showcase is available in three sections; each section comprises a display of images of books (images have been provided by the artists and may not be downloaded). For each artist book represented by an image, MARBL provides a title, description, creator's name, source, date, format, identifier(s), original format, physical dimensions, and citation(s). In some cases additional images of the book are provided. An easy-reference list of books to browse is here. An easy-reference list by collection is here. ✦ Altered Books ~ This section comprises an essay about several specific artists' use of books and how they alter them. The well-known Brian Dettmer is one of the artists mentioned here. ✦ Glossary ~ Included here are common terms that identify specific kinds of artists' books. Images of examples from MARBL's collection are provided to show the construction of each type. ✦ Miniature Books ~ This section offers a brief introduction to miniature artists' books in MARBL's collection; singled out are four presses (Peter and Donna Thomas, De Walden Press, Mystical Places Press, and Patrice Baldwin's Pequeno Press) specializing in the production of these tiny books. As in other sections, the sources consulted are listed and hyperlinked. ✦ Student Work: Writing About Literature ~ Essays by Emory instructor Amy E. Elkins and three students address the use of artists' books in the classroom and for assignments. ✦ Women and the Artist's Book ~ A brief essay looks at why and how artists who are women have come to dominate the field of artists' books. It highlights the materials, techniques, and processes of four artists in particular: Ellen Knudson, Julie Shaw Lutts, Robbin Ami Silverberg, and Maria G. Pisano. MARBL's collection includes artists' books from the Raymond Danowski Poetry Library (see my August 26, 2013, post), books from Nexus Press, Granary Books, and Coracle Press, and books by such artists as Ed Ruscha and the duo Gilbert and George. Kudos to MARBL for this excellent resource for educators, researchers, and collectors of artists' books and for its other initiatives to digitize and make widely accessible rare or special collections that most of us otherwise would be unable to see! I don't profess to understand the software that was developed and used to "create an instrument for performance that would allow visualisation of sound in realtime", the description of a project by the creative team Quayola & Sinigagli that lets us "see sound" live. (Details about the artists' collaborative project are featured at Creative Applications Network.) I do think that, after you've watched the video below, you'll agree that what results is strange and beautiful and a wonder. Still photos of the visualizations are available at the CAN link above. Additional video excerpts and stills may be seen at Natan Sinigaglia's Website. My thanks to Visual Music for the link to CAN. bound entirely to the other. and the light inside burned out. and tries to write a poem. In 2014, Dean Young will succeed Rosemary Catacalos as Poet Laureate of Texas. The one-year position is honorary and carries no formal obligations or requirements. The process of selecting and appointing an incumbent is explained in my 2010 Monday Muse post. they still see the world — the world of 10,000 things. Poetry is about time running out, to some extent. the stanza ends and the poem itself ends. Described as an "extravagant" imagist*, Dean Young is the author of more than a dozen collections of poetry and chapbooks, most recently, Bender: New and Selected Poems (Copper Canyon Press, 2012), Fall Higher (Copper Canyon Press, 2011), and The Foggist (Hollyridge Press Chapbook Series, 2009). Young's Primitive Mentor (University of Pittsburgh Press, 2008) was shortlisted for the 2009 International Griffin Poetry Prize. He also is the author of Embryoyo: New Poems (McSweeney's, 2007), Ready-Made Bouquet (Stride Books/United Kingdom, 2005), and Elegy on Toy Piano (Pitt Poetry Series, University of Pittsburgh Press, 2005), a finalist for the 2006 Pulitzer Prize for Poetry. Young's other collections are Skid (University of Pittsburgh Press, 2002), a finalist for the 2004 Lenore Marshall Poetry Prize; First Course in Turbulence (University of Pittsburgh Press, 1999), Strike Anywhere (Center for Literary Publishing, Colorado State University, 1995), awarded the Colorado Prize for Poetry; and Beloved Infidel (Wesleyan University Press, 1992; Hollyridge Press, 2004). Young's Design with X (Wesleyan, 1988) is out of print. His 31 Poems 1988-2008 (Forklift Ink, 2009), Original Monkey (Empyrean Press/Center for the Book, Iowa City, 2004), and True False (Inflorescence Press, 2002) were published in limited editions. A prolific writer, Young also has published a volume of prose on the aesthetics of poetry, The Art of Recklessness: Poetry as Assertive Force and Contradiction (Graywolf Press, 2010). In that book, he describes poetry as "a hunger, a revolt, a drive" but also stipulates that it is "not a discipline." in logical ways. . . .
. . . I look to art for . . . corroboration that life is happening. of this world, its terrors and glees, its sheer unlikeliness. I don't need a poet crossing guard. . . .
Like the work of his contemporary John Ashbery, one of three poets (the other two are Kenneth Koch and Frank O'Hara) called "hugely important" to him, Young's is the kind of poetry that most rewards comprehension when read repeatedly. His jumbles of wildly associative, surrealistic images, his plays on words, his wit that can morph suddenly into deep rumination, the sonic qualities of his verse, his rhymes and rhythms and deft use of enjambment, his subtle but deep observations all bid for careful and attentive reading; yet even when taken slowly (difficult, because his lines seem to impel a rapid read), the work can leave one wondering what's been missed or how to respond to the absurdities when simultaneously confronted with the serious. The chaotic-as-life poems, sometimes resorting to direct address ("you", "I", and "we" are common pronouns), sometimes hinting at meaning through titles, comprise line after line of improbable but undeniably imaginative and inventive connections and juxtapositions. ("My poems could start in New Jersey and end up as a meditation on carpentry," Young told one interviewer.) The whole of many reads like a racing stream of consciousness that suddenly, and inexplicably, stops and becomes clear. . . or not. Themes and subjects in Young's poems encompass relationships, love, illness and physical frailty (Young had a heart transplant in April 2011), mortality and rebirth or afterlife, fate, randomness, gratitude, transience, sadness and loneliness, and also joy. of touching the arch of your foot. Fragile are the bones of a bat. its beak down your throat. Young's poems have appeared in numerous and prestigious literary periodicals and magazines, including The American Poetry Review, The American Reader, Antioch Review, Blackbird, Boston Review, Crazy Horse, Denver Quarterly, Devil's Lake, Fence, Gettysburg Review, Gulf Coast Magazine, Indiana Review, Ironwood, Jacket Magazine, Jubilat, Narrative Magazine, New American Writing, The New Yorker, Ohio Review, Ploughshares, Poetry, Poetry Daily, Slate, Sycamore Review, Threepenny Review, Verse Daily, and The Writer's Almanac. His poetry has been anthologized often in Best American Poetry (1993, 1994, 1997, 2000, 2001, 2006). His "White Crane" is published in Kevin Young's The Art of Losing: Poems of Grief and Healing (Bloomsbury, 2010). Other anthologies containing his work are New American Poets of the Nineties (1991), Poetry 180: A Turning Back to Poetry (Random House, 2003), The Autumn House Anthology of Contemporary American Poetry (Autumn House Press, 2005), Mona Poetica (Mayapple Press, 2005), Squaw Valley Review (2008), Seven Poets, Four Days, One Book (Trinity University Press, 2009), and The Plume Anthology of Poetry (Pequod, 2012). 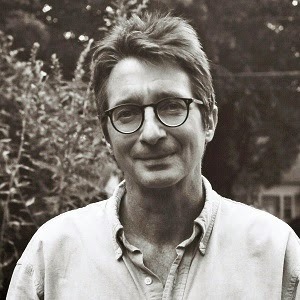 A professor of English at the University of Texas at Austin, where he holds the William Livingston Chair of Poetry, Young has been the recipient of a Guggenheim Fellowship (2002-2003), National Endowment for the Arts fellowships (1988, 1996), a Wallace E. Stegner Fellowship at Stanford University (1986-1987), the Levinson Prize (2012), an American Academy of Arts and Letters Literature Award (2007), and a Pushcart Prize (1997). He held the Virginia Butts Sturm Writer-in-Residence post at the University of West Virginia in 2002, and was the Visiting Poet at Vermont Studio Center in 2000, 2002, and 2004. In addition, in 1998 and then from 2001 to 2008, he taught at the Iowa Writers' Workshop. Young's collection Bender was named among the "Best of 2012" by the Los Angeles Times and was on NPR's list of "Best Books of 2012".